Indoor Playgrounds Versus Outdoor Playground, Which one Do You Prefer? With the wide spreading of outdoor playgrounds and indoor playgrounds, kids today have access to either of them conveniently. People of various kinds prefer different places for fun. Many years ago, the devices of outdoor playground could not compete with that in an indoor playground. While today, with the development of social material and technology, we've got enough money and capability to make outdoor playgrounds function as well as indoor playgrounds. Now, as the competition between indoor playgrounds and outdoor playgrounds is getting more and more fierce, it is really hard to tell which one of them will win more support than another. 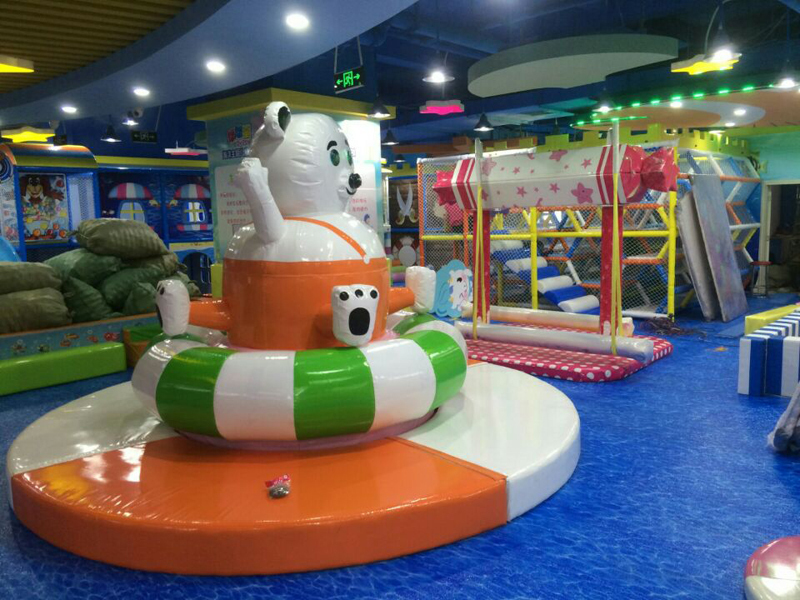 To begin with, one important thing that distinguish outdoor playground from the indoor playground lies in their location. Outdoor playground is a spacious and open place, it is not a place under roof or surrounded by windows and walls. We may as well call it an outside play spot with specialized playing equipment for children. The advantage of its location is that kids can play and see the outside world clearly, bath in the sunshine, feel the touch of fragrant wind. While the disadvantage is that all the activities are limited by weather condition and the time of a day. Indoor playground, however, will never dismay children's intention to have fun outside their house. Kids can enjoy their after school time in the indoor playground no matter what the weather is like or how late it is in the day. Because indoor playground provides them with shelter from the rain, the burning sun, as well as the frozen or scorching temperature. One more thing is that there are babysitters who can keep an eye on your children's safety, which will make parents feel more at ease to place kids in the indoor playground. However, the disadvantage of indoor playground is that it failed to open the real world in front of children's eyes. While from my point of view, I prefer outdoor playground more. As a kid born in the late of 1990s, all my memories are related with outdoor playground. We didn't get playing equipment in the outdoor playground as today's children do. The only way to amuse ourselves is by doing some simple games with the help of rough tools. We are happy about our life of getting so close to the outside world and to the nature. I believe that this is the natural way for children to have fun. All in all, both indoor playgrounds and outdoor playground are of great benefit to kids, which means that no matter which one wins in the completion, the final winners are still the children who enjoyed their achievement.